Ann Rennie was born and raised in Cornwall. A well established and respected career in the antiques industry lead Anna to her specialism in antique silver and the Arts and Crafts movement. 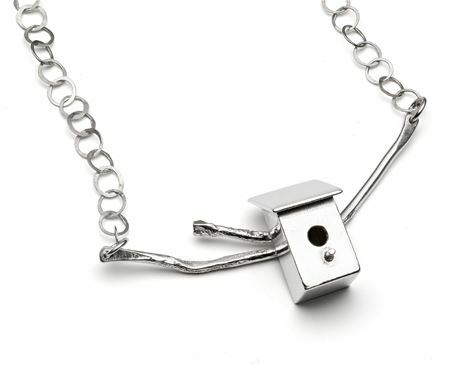 Graduating from Truro College with a BA (Hons) in Silversmithing and Jewellery has enabled Anna to extend her knowledge and creative skills and make silversmithing the obvious choice. Inspirations: Anna’s inspiration comes to her in any form at any time. Nature, though, is an important part to her inspiration, either watching, sketching or listening to it. Being open to inspiration at any time ensures that Anna’s creative free spirit in her making has room to roam and so her work brings an element of enjoyment and pleasure to the viewer.